A range of physical traits and well-honed skills distinguishes elite distance runners from huffing joggers—lean yet muscular bodies, a linear and efficient stride, and a high threshold for pain and muscle fatigue among them. Yet exercise physiologists often focus on one measure of fitness, called VO2max, as the key to a person's aptitude for endurance sports. It's also a good gauge of overall cardiovascular health. Because it's quantifiable, it also offered a way to assess how much progress NOVA's runners made from start to finish of their nine-month training for the Boston Marathon. VO2max, theoretically, is the volume of oxygen a person can consume in one minute as he or she exercises at maximum exertion. In practice, it's measured by hooking up test subjects (in our case, NOVA runners) to a breathing apparatus and having them run as hard as they can. Oxygen is essential for converting the fuel you get from food into energy for your muscles, and endurance athletes process oxygen efficiently to keep themselves going. VO2max is not simply a matter of oxygen consumption, however—it's usually expressed in terms of body weight (milliliters of oxygen per kilogram of body weight), so merely losing weight can improve your score over time. 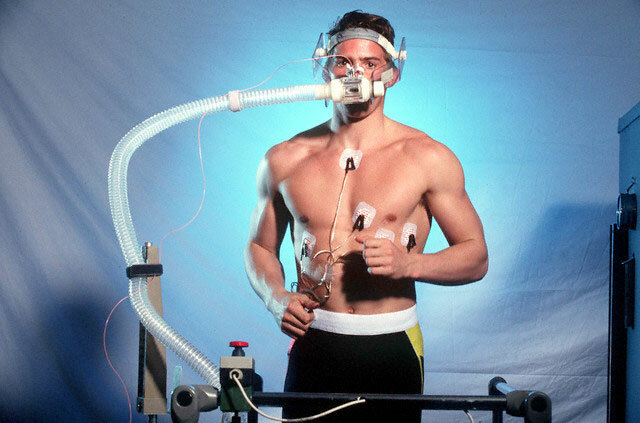 Elite endurance athletes, including distance runners and cyclists, consume vast amounts of oxygen when they compete; they can have VO2max scores twice as high as most of us mere mortals. Lance Armstrong once registered at 83.8 ml/kg/min; the average man his age would measure between 40 and 50. Even if Armstrong had never taken up cycling or any sport, he likely would have scored exceptionally high. We are all born with a genetic predisposition for a certain VO2max range, and most of us, even if we work out daily, will never hit the marks of champions. Yet where we fall within our own ranges hinges on how often and how strenuously we exercise. More critically, this exercise, like a wonder drug, can boost our physical and emotional well-being. So what innate physiological factors determined the NOVA runners' scores, how could training change them, and what impact could this have on their health? For the answers, it helps to trace how oxygen moves from the air you breathe all the way to the mitochondria of your muscle cells, where it is ultimately consumed. Given that VO2max is a measure of oxygen consumption, you might think that lung capacity—the volume of air a person can inhale—plays a major role in determining VO2max scores. 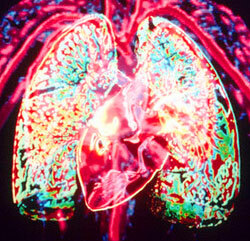 Indeed, Lance Armstrong is renowned, among many more significant things, for having strikingly large lungs. However, lung size isn't a limiting factor; even people with smaller-than-average lung capacity breathe in far more oxygen than the rest of their bodies can process. 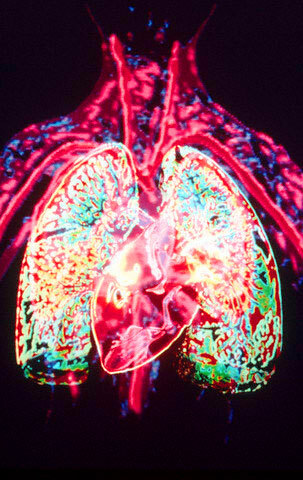 From the lungs, oxygen diffuses into the bloodstream. For most of us, the rate at which the oxygen moves at this point is also insignificant. Only elite athletes might have their VO2max scores hampered by the rate of diffusion, because their blood flows so rapidly that it might not have time to pick up all the oxygen it could carry. In any case, no amount of training will alter the lungs to make the oxygen flow from them any faster or make them healthier in general. Exactly how much oxygen your blood can absorb and deliver to your muscles is critical to your VO2max and your performance in endurance sports. 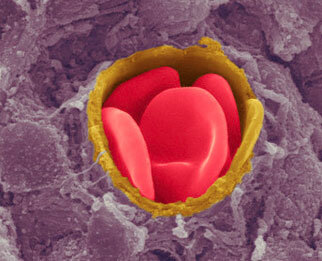 At the lungs, oxygen attaches to hemoglobin, a protein complex in red blood cells. Oxygen-enriched, the blood turns bright red and remains this vivid color until the oxygen is "dropped off" in all the various tissues of your body that need it—not just to power muscles, but to keep the heart, brain, and other vital organs functioning. The sheer volume of blood in your body, the number of red blood cells it contains, and the quality of hemoglobin within these cells all affect the amount of oxygen your blood can shuttle to your muscles. If you are anemic and your hemoglobin lacks iron, for instance, it is less able to bond with oxygen. And cigarette smoking can dramatically compromise oxygen delivery, because tobacco smoke's carbon monoxide, rather than oxygen, holds onto hemoglobin. With sweat and perseverance, all of us can strengthen our hearts. "Born" runners may naturally generate high numbers of red blood cells that are particularly effective at transporting oxygen. World-class athletes also frequently train at high altitudes, where their bodies make more red blood cells in response to "thin" (low-oxygen) air. All too often, competitive athletes also temporarily boost blood oxygen levels through illicit means, including blood transfusions and doping with EPO (Erythropoietin), a hormone that triggers red blood cell production. Team NOVA, of course, never turned to such underhanded tactics. Fortunately, legitimate training, even at sea level, could enhance the ability of their blood and vascular systems to carry more oxygen to hard-working muscles. Regular and fairly intense training like the NOVA runners experienced spawns the growth of new capillaries, tiny blood vessels that supply oxygen and nutrients to skeletal muscles, the heart, the brain, and elsewhere. What's more, such exercise can make blood vessels throughout the body less stiff, improving blood flow and reducing risk of arteriosclerosis. By improving cholesterol levels, exercise also helps keep the vascular system, including vital coronary arteries, free of clogs. Perhaps the greatest determiner of VO2max scores is cardiac output, the amount of oxygen-rich blood your heart sends through your body in a single minute. 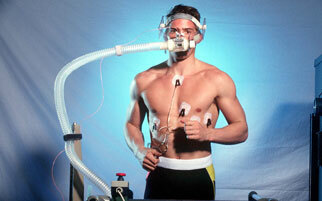 Elite endurance athletes have extraordinarily powerful, and often unusually large, hearts. A typical jogger might pump over 15 quarts of blood per minute, while a frontrunner in the Boston Marathon is capable of pumping twice that. Cardiac output is the product of heart rate (the number of beats per minute) times stroke volume (how much blood the heart ejects with each contraction). For champions and recreational runners alike, even the most arduous training won't increase maximal heart rate, and this rate inevitably drops as we get older. On the other hand, with sweat and perseverance, all of us can strengthen our hearts and increase stroke volume. Elite marathoners rack up thousands of training miles each year to extend the muscles of the heart and increase stroke volume. Even Team NOVA's workouts—which eventually had the runners pounding pavement (and dirt) about 30 miles a week—could improve the efficiency of their hearts. Elite distance runners may look almost waif-like, certainly not muscle-bound. Yet they have muscles that are exceptionally good at processing oxygen and propelling them through 26.2 miles—muscles that, despite maintaining nearly a five-minute-per-mile pace, don't seem to tire. How is it possible? 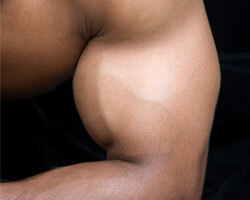 Part of the answer lies in the type of muscle fiber that predominates in their bodies. Physiologists call it "slow-twitch" fiber (as opposed to bulkier "fast-twitch" fiber that helps sprinters and weightlifters with quick bursts of power). Team NOVA's athletic muse, Uta Pippig, is likely graced with an abundance of slow-twitch fiber, while fast-twitch muscles probably contour NOVA runner Steve DeOssie, a former NFL linebacker. A person's tendency to develop either slow- or fast-twitch muscle is largely genetic, yet specific training techniques—long runs verses bench presses, for instance—practiced over many years may change the balance of fiber types slightly. Endurance training can also alter the physiology of either muscle type, in essence making fast-twitch muscles perform more like slow-twitch, and making slow-twitch muscles do better at what they already do well, namely use oxygen for energy production. 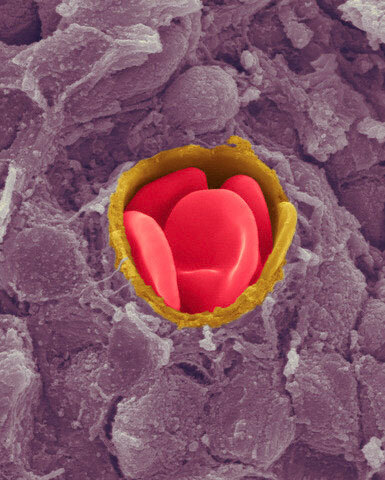 The key is mitochondria, tiny structures that act as power plants within all cells. Mitochondria combine oxygen with glucose or other food fuels to make ATP (adenosine triphosphate), the so-called "universal energy molecule" that powers cellular work. In muscle cells, ATP is essential for muscle contraction. Slow-twitch fiber inherently contains more mitochondria than fast-twitch. But endurance training increases the number of mitochondria in both types of muscle. It also can make mitochondria larger and more metabolically active. Bigger and more active mitochondria don't just produce extra energy to keep muscles moving, they also cut down on muscle fatigue. Tired, sore muscles during exercise are linked to a buildup of lactic acid, and mitochondria can sweep up and consume lactic acid as a fuel source. Once again, champion athletes may have an innate edge; their mitochondria might be particularly well suited for this cellular housekeeping. But anyone can condition his or her muscles to be less crippled by lactic acid. It's possible that some of the positive change evident in Team NOVA's scores has little to do with red blood cells or mitochondria or any other physiological factor. The members of Team NOVA conditioned their muscles over nine months of rigorous training, and they were capable of runs at the end that would have been excruciating for them at the start. In the summer of 2006 some of them couldn't even make it through a single mile without cramping up and stopping. By the spring of 2007, they were aiming to take on the grueling 26.2-mile course of perhaps the world's most famous marathon, Heartbreak Hill and all.